Wotton Printers offer a range of print finishing services to clients throughout Newton Abbot. From laminating to folding, booklet stitching to cutting, perfect binding to creasing, you name it, Wotton Printers are confident to say that we have you covered. So for all your print finishing related needs in Newton Abbot, look no further than Wotton Printers. Our team come with years of skills and experience as printers and print finishing experts in Newton Abbot so be sure to give us a call today to discuss your specific needs and requirements. Wotton Printers would love to hear from you and help both you and your business in any way possible. Waste no time, effort or money in going elsewhere and choose none other than Wotton Printers for all your print finishing related needs in Newton Abbot. You won’t be disappointed with our top quality print finishing service or our friendly and reliable approach we offer to all our clients. Offering a great, long lasting solution to paperwork, our laminating services is a fantastic answer for keeping all of your work in the same top quality it was first printed to. Not only does it help avoid any tears or crumbles, it is extremely handy when using paper on a professional basis as it is shiny, impressive and portrays a much more more acceptable form of print to use with clients in meetings, events etc. Our folding services is an easy solution to alternative printing. Not only is this a new way to portray your businesses service or product, it offers a different and more unique approach to advertising. Not only can you go creative with how you want your printing to layout, it is perfect for sectioning away different areas of your business and showing information in various formats. For a sturdy and professional finish to your booklets, look no further than Wotton Printers. Our top quality booklet stitching service is great for clients who wish to have the very best in all areas within their business. Whether your booklets are being used just within the office or printed and sent out to clients, Wotton Printers guarantee the user will be highly impressed with the quality of the stitch and how durable the booklet is. For cuts in all shapes and sizes, Wotton Printers are the ones to call. We are here to help your business across all fields, from cutting a single piece of paper to multiple cuts. You name it, our team are sure to have you covered. Cutting can be completed with an array of equipments such as an CNC cutter to guillotine but no matter the methods, Wotton Printers assure we will only ever complete your cutting the best standard. If you require some cutting on your business’s printing, then Wotton Printers are the printers you can call on no matter what. Getting the bind in your books right is not only essential for business, but adds a great stamp of professionalism throughout your business. This itself may look like a small factor of your business, but is highly effective for ensuring all areas of your business needs is covered. If you’re looking for a perfect bind service in Newton Abbot, Wotton Printers are the ones to call. 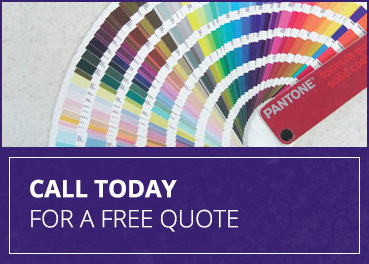 Make the most of your business today and choose Wotton Printers for all your printing and perfect binding needs. Creasing paper is a brilliant solution to your business’s advertising. When creased the right way, it is highly effective for your business as you are able to layout your information without the need of boxes or lines. If this sounds like something your business is missing out on, be sure to get in touch with Wotton Printers today to discuss your needs for creasing in Newton Abbot, we’re more than happy to help. For all your print finishing related needs in Newton Abbot, look no further than Wotton Printers. Our team come with years of experience behind us in print and print finishing so be sure to get in touch today to discuss your specific needs and requirements. A member of our team will be more than happy to help in any way possible, be it with: laminating, folding, booklet stitching, cutting, perfect bind or creasing. So for all your print finishing related needs in Newton Abbot, please don’t hesitate to get in touch with our team today on 01626 353698. Wotton Printers would love to work with you and help improve the quality of your business’s print finishing in Newton Abbot.